I had entirely too much fun consigning this year! I decided to not only shop but to actually sell some of Matthew’s clothing he had out grown. In addition to that I volunteered at two sales this year instead of just the one I normally do in the spring. I can honestly say that this made a big difference in my shopping experience and over all outcome! I learned that the people who shop early are really the ones who walk away with the best deals. Seriously, there were really great fairly priced items available at the pre-sale that had I not gotten to shop early would have gotten snatched up before I ever got a chance to lay eyes on it! –I’m a SAHM and would like to be for as long as possible! This is one of the ways I save money & keep my family looking good! Fast-forward to this year. I was soooo happy with my finds! Especially considering the fact that I had to sort through clothes for a toddler boy wearing a 3T and a newborn girl who could possibly hit a growth spurt in the middle of the winter. Boy was I on a mission! Im proud to say that I got it done though! Hubs was excited to see the items I purchased especially after giving him my totals. My Mom called me a “virtuous woman” which made me feel pretty darn awesome! I was pleased with what I accomplished and was happy that my children had what they needed entering into the cooler months. I kinda hit the jackpot for this kid! Anyone that knows me knows that I am very, VERY particular about what my Matthew wears! I refuse to put just any ol thing on him! He is my pride&JOY I get so much pleasure out of seeing him look good! 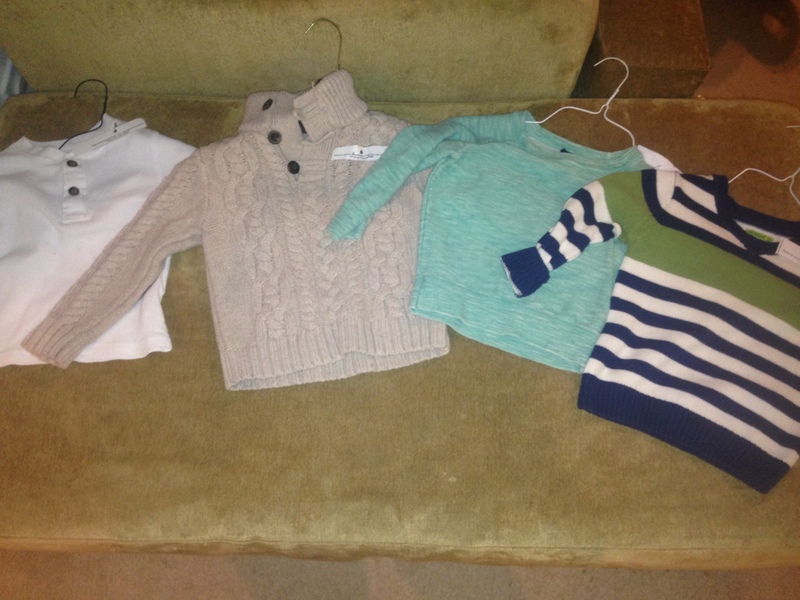 So I was extremely pleased (as I always am) with my consignment finds for him! All these items for my sweet boy came up to $69! Ha! 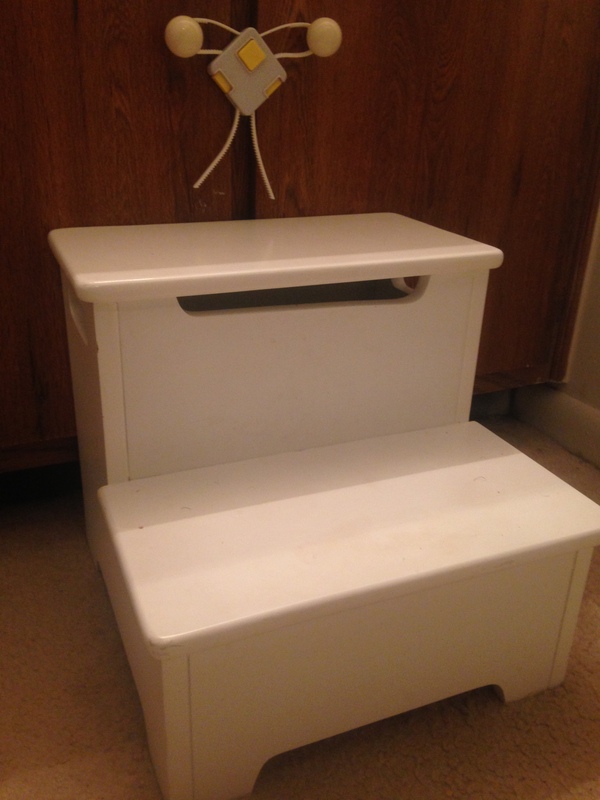 Picture trying to purchase all of these items brand new and coming up with that price! No clearance rack or coupons could ever achieve such! I’ve since added a few more items to his wardrobe. 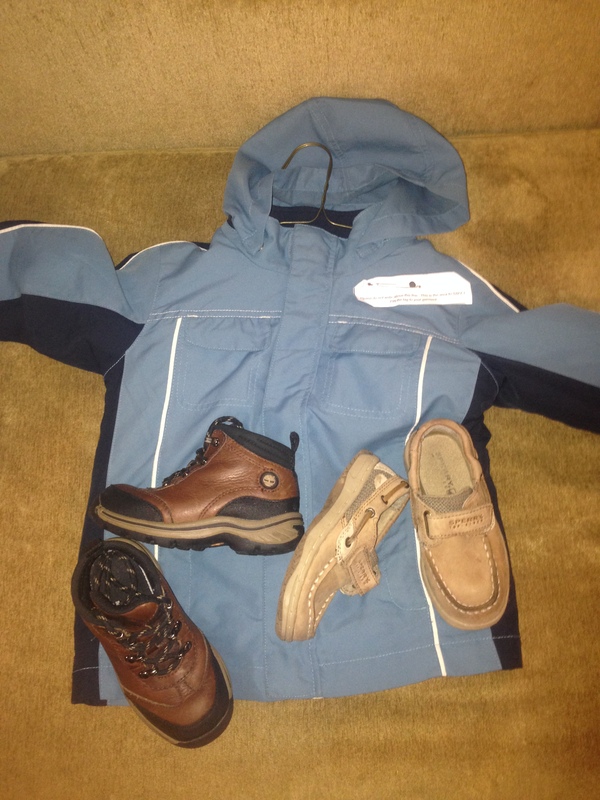 But this was a really nice start for a boy who couldn’t wear any of his clothing from the previous cool season(s). 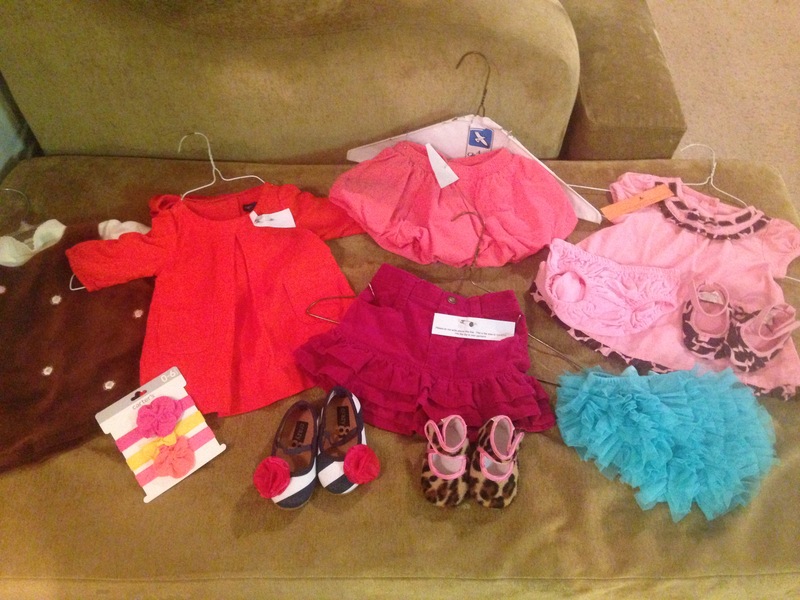 I had so much fun sifting through the baby girl clothes! I mean, goodness! I’ve never really shopped for a girl. I’m pretty much surrounded by little boys at the moment [and loving it]! I just didn’t realize how cute little girls clothes can be! I’ve never really saw girl clothes that I LOVED! Never! Sure i’ve seen cute pieces; but most are in a cheesy I’m getting ready for bed type of way! When I found out I was having a girl I went straight to Target! 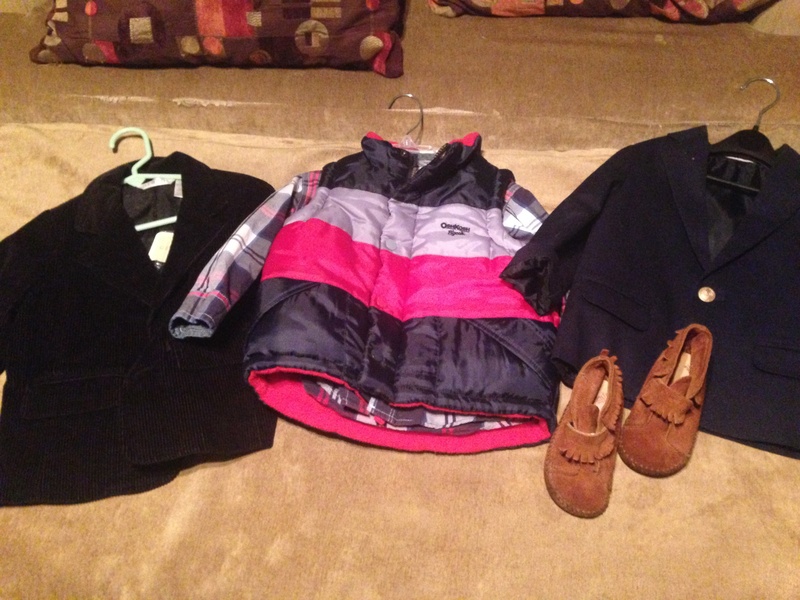 Mostly looking trying to figure out “how am I going to dress this child?” I would say that I was a little satisfied with the items that I picked up, however I was extremely excited about what I found while consigning! 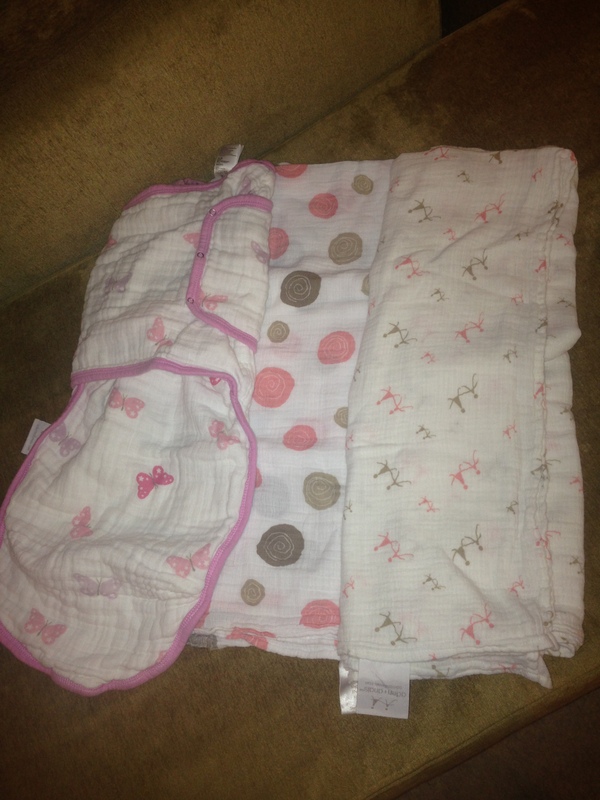 3 EUC Aden and Anais blankets (wait for it) $6!!! 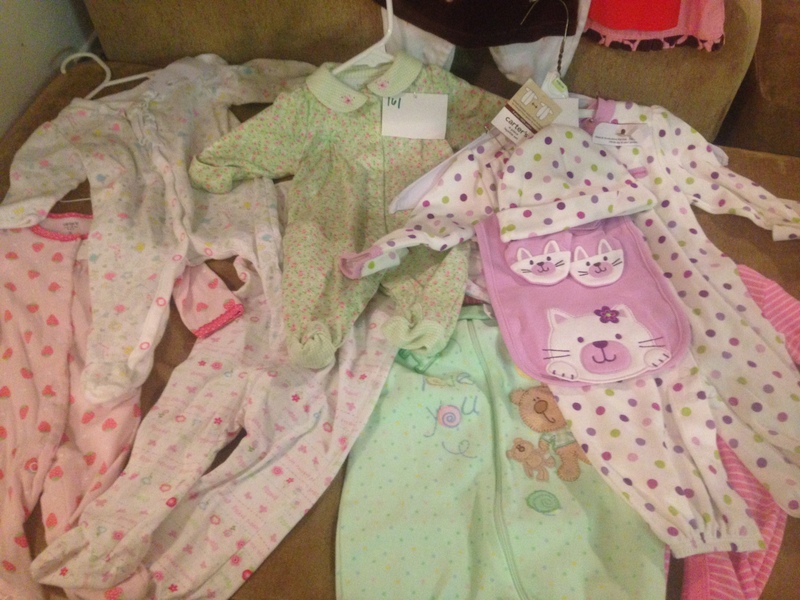 Baby girl’s items totaled $39 for the WIN! I was so pleased with my finds for her! I’ve really wanted to try the aden and anais brand especially since so many moms swear by it! I’ve noticed that they are kind of thin and very breathable! Which is nice for a little that may love to be swaddled but gets too hot in cotton receiving blankets. — Can you tell that I love corduroy!? If I see it, its as good as gone! I love corduroy on my littles! Love it! So glad that I was able to find so many corduroy pieces for little of nothing! The jackets were also an added bonus! Those are so important and are something people often overlook when shopping for a baby. I’m not at all mad at the steal I got on those sleepers! $.50? I’ll take them all please! Pictured Below was the highlight of my trip! I was so happy to find this! While visiting a friend for a playdate Matthew exclaimed he had to potty. We rushed to the bathroom in the nick-of-time and he went (proud potty training Mama)! Afterward he noticed that there was a stepping stool under the sink and rushed over to use it to turn on the water and get soap on his own. He was so proud of himself afterwards, in that moment I knew I had to get him one of his own. When I passed by it I grabbed it up so fast! I was like a kid in a candy store! Mom Life! Ha! My totals for this years fall consignment combined totaled $118 (rounded). Mind you this was for two children! My goal is normally $60 so I did pretty good! This was a great start! I never go in expecting to buy clothes for the whole season. I know there will be plenty of trips to Target and Once Upon A Child to finish them off. Along with searching through sales racks at Old Navy and Carter’s/ Osh Kosh until they have everything they need! 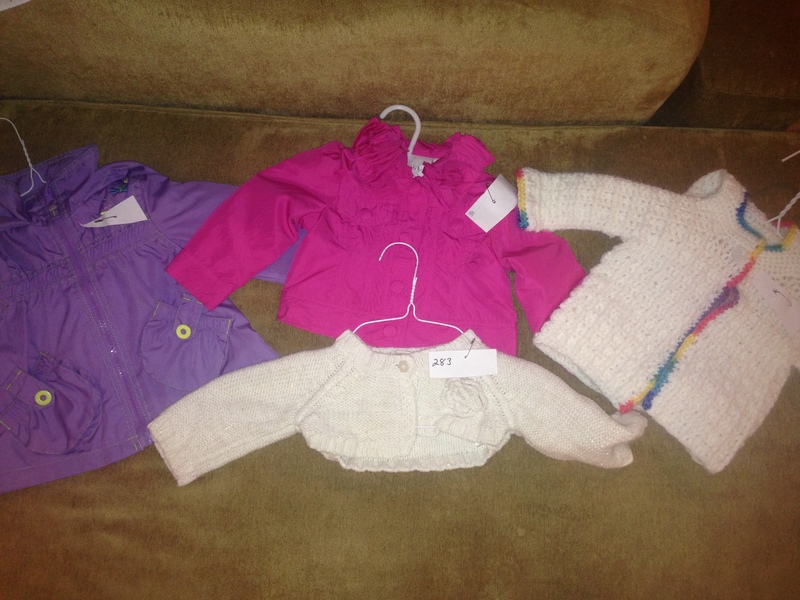 I sold clothes with one of my favorite consignment sales Trinity Tots to Teens Consignment Sale this year! It was an experience! Hanging, pricing, and tagging clothes is a lot more tedious than I ever expected! However the outcome was worth it! 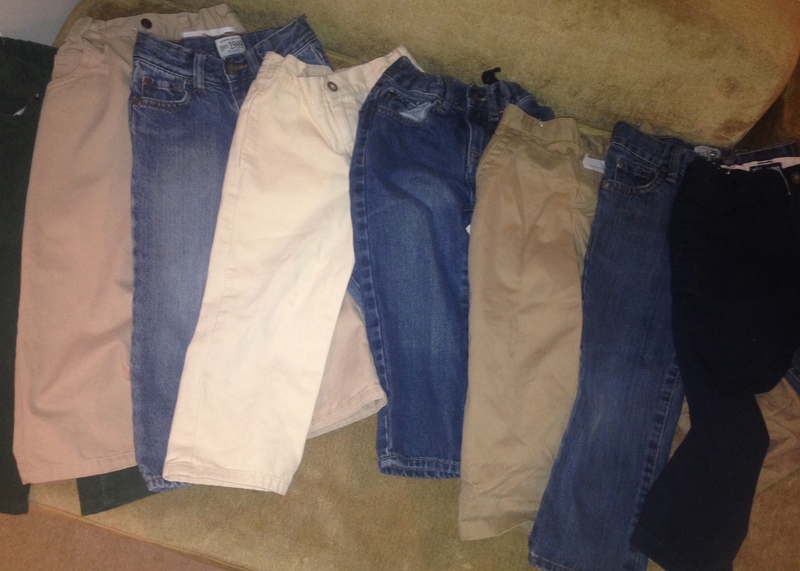 I sold 80% of the clothing I took to the sale which totaled $74! WIN!